Welcome to Phase 2 of Liberties Point! Phase 1 sold out quick! 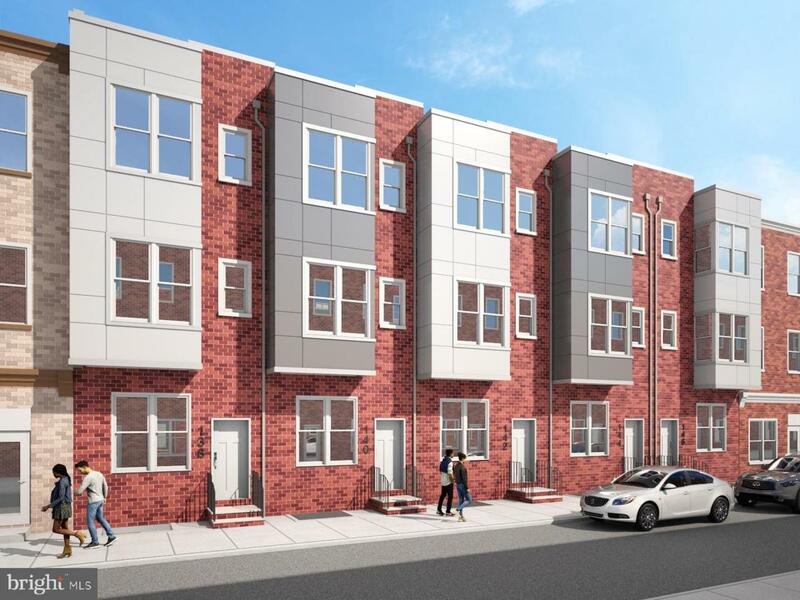 Only 2 more Luxury New Construction Town Homes remain in the trendy and desirable Northern Liberties neighborhood. You get the best of both worlds of Northern Liberties and Fishtown with this location. Across the street from the Piazza, and a block from the trendy 2nd street corridor filled with places to eat, drink, shop and play! Walk just minutes to visit some of Philadelphia's top restaurants, Suraya, Cheu Fishtown, NuNu and more as well as Venues likes the Fillmore and Punchline, and the Goose Island Brewery. Commute to Center City in a flash from the Girard Ave. subway, just a 4 minute walk. Enter your gorgeous new town home to find soaring 11 foot ceilings, stunning hardwood floors,and a gourmet kitchen with a huge island perfect for entertaining.Reach your private patio through the kitchen, complete with a gas line for grilling. Travel to the second floor and your master suite awaits with gorgeous master bath complete with double vanity, beautiful glass enclosed shower and spacious walk-in closet. Also on this level is the convenient second floor laundry space. Travel to the third floor and find two more spacious, well appointed bedrooms and a beautiful shared hall bath. The roof deck level includes additional living space as well,perfect for a second living room, office or playroom. This level also includes a wet bar, perfect for entertaining on your private roof deck.Finished basement and 10-Year Tax Abatement is approved. LED lightning throughout, Dual Zone HVAC, NEST thermostats and RING video doorbells. All this with a Walk Score of 96, it truly is a dream home!